Nutrakey Beta Alanine is one of my favorite supplements. Aside from creatine, there aren’t too many others that produce such significant benefits. Within a couple weeks of taking it, I can suddenly do 3 or more reps with the same weights I’ve struggled with a week ago. I’m also able to run, swim, and get after it a lot harder for longer periods of time. I believe that anyone who trains intensely on a regular basis (Crossfit, sprints, etc.) can achieve great results from it as well. 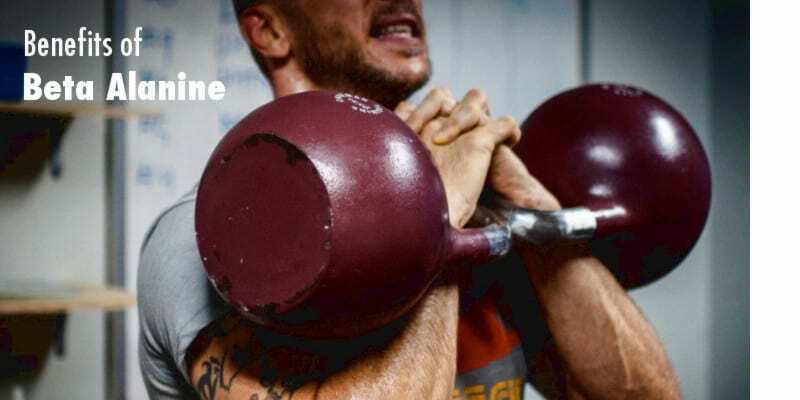 What Makes Nutrakey Beta Alanine The Best? 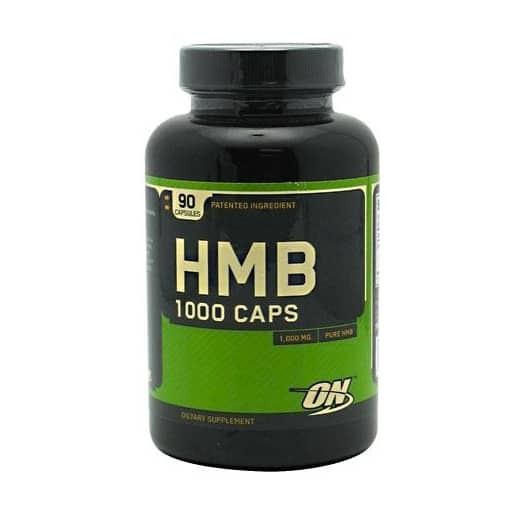 Listed below are several points showing why this is the best beta alanine powder. I’ve also elaborated on each point to help clarify and hopefully answer any questions. Most beta alanine supplements require you to take it 4-6 times a day. Nutrakey beta alanine powder gives you the same amount in 2 servings per day. They only use the Carnosyn brand of beta alanine. This brand has been proven to be effective in over a dozen studies. No other brand can make this claim. A single can lasts about 2 months. Competing products only last for a month at most. You don’t have to gulp down a handful of pills. It mixes easily with a spoon in 8-12 ounces of water. Nutrakey Beta Alanine is made in their own GMP certified manufacturing plant. Safety. Every canister is tested for purity and safety by Nutrakey. 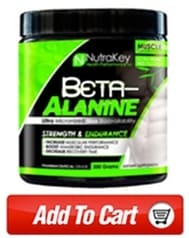 Why Should I Take Nutrakey Beta Alanine Powder? There are several great reasons to take beta alanine. As you’ve already read in this review it can quickly help you workout harder, and do more work (sets, reps, etc.) when you’re training hard. Listed below are the most compelling reasons to take Nutrakey beta alanine. They’re all supported by peer-reviewed research and feedback from customers and athletes who use this supplement. I’ve personally experienced all 5 of these benefits, especially when I was doing intense workouts like Crossfit MetCons, high rep kettlebell swings, hills sprints, etc. 1. Beta alanine supplementation can help you build more muscle when you lift weights too. 2. It can help you lose excess body fat faster, without changing your current diet. 3. Taking it helps you do more work (sets and reps) at high intensities. 4. You will be able to train harder for longer periods of time before you ‘feel the burn’. 5. Once you begin to ‘feel the burn’, you’ll be able to keep swinging, pulling, and sprinting without letting up. 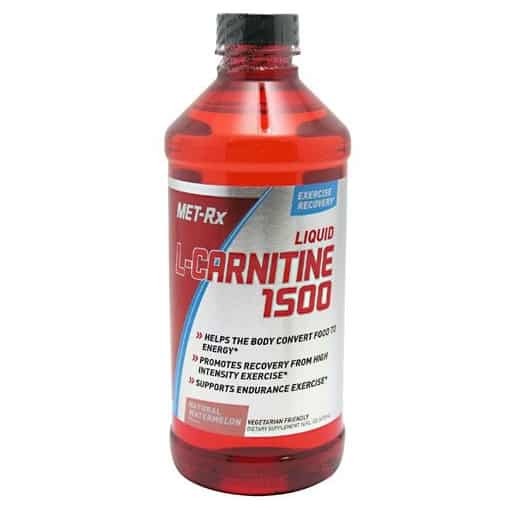 The beta alanine in every serving works by delaying the buildup of fatigue inducing compounds when you’re training hard. This is why it’s called a muscle buffer. Consequently, it ‘buffers’ or increases the time you can really get after it before your legs, shoulders, arms, etc. quit on you. The beta alanine you’re taking isn’t stored in your muscles. Instead it’s broken down to create a compound called carnosine. It’s the carnosine that produces the muscle buffering benefits I write about above. 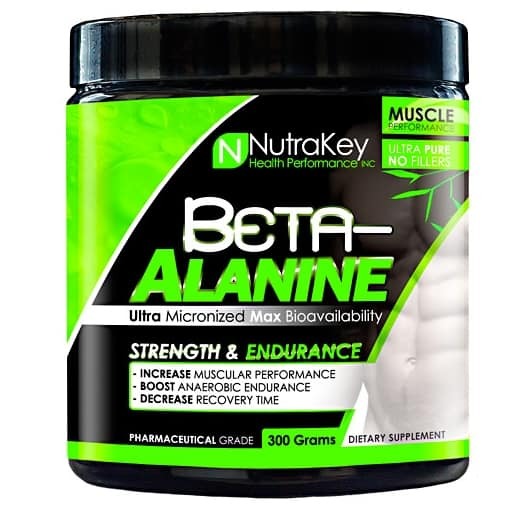 Who Should Take Nutrakey Beta Alanine? Whether you’re a guy or girl, if you’re healthy and train hard, beta alanine is worth trying out for a month or two. You’re likely to see significant benefits as long as you train hard and take it as recommended. According to the International Society Of Sports Nutritionists (ISSN), Studies to date do not show any negative side effects from both short and long-term supplementation. It’s easy to decide whether beta alanine is good for you. 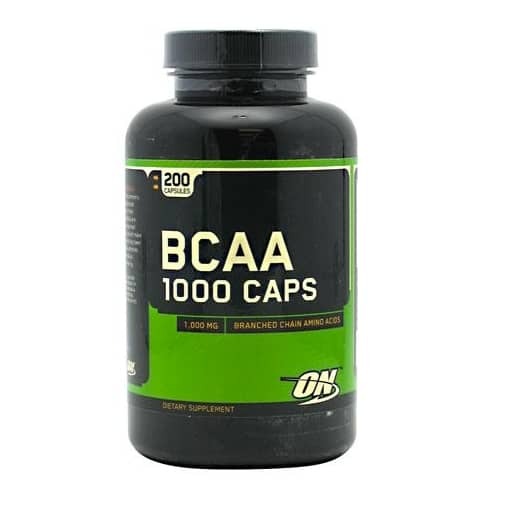 Unlike a supplement that should be taken daily, for example, a multivitamin or fish oil, beta alanine works best for certain types of workouts and athletes. 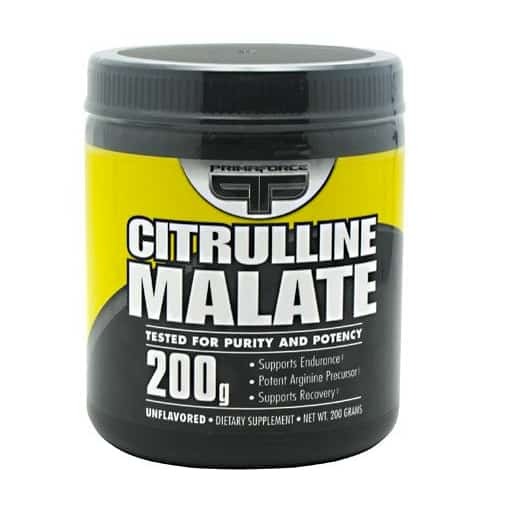 Listed below are the criteria for determining if Nutrakey beta alanine powder is for you. Answering yes to any of these questions means you can benefit from this supplement. Are your workouts high intensity? Have your high intensity workouts reached physical limits that you want to exceed? Does the burn in your muscles force you to stop, preventing you from doing more sets, sprints or more weight? How And When Should I Take Nutrakey Beta Alanine? The best way to take it is by mixing one serving into 12 or more ounces of water or other drink. Stir quickly with a spoon, and drink. Research finds that it takes supplementing with about 6 grams per day, for 3-4 weeks, before noticing results. This is important to remember so you can actually reap the benefits! Once you’ve taken enough beta alanine to saturate your muscles, you can then reduce your daily dose to 3 grams over 2 servings. You’ll continue to receive the benefits as long as keep up with this dosage, daily. Take 6 grams every day in 2 equally divided servings. Repeat daily for 3-4 weeks. Beta alanine can sometimes cause you to feel a warm, tingly feeling in your hands and sometimes face. Don’t be alarmed, it’s nothing dangerous. I kind of enjoy, actually because you know it’s working! If you experience this tingly feeling, medically known as ‘paresthesia’, it should only last for 15 minutes or so. It usually decreases or goes away completely after you’ve been taking beta alanine for a few weeks. What About Taking Beta Alanine As A Pre-Workout Supplement? You certainly can but don’t expect it to produce significant benefits if this is the only time you take it. Like I write in the last section of this review, you need to take enough beta alanine to fill up your muscles, for approximately 3-4 weeks, to see results. How Long Does A Container Of Nutrakey Beta Alanine Powder Last? When you take it as recommended, a single 300 gram can will last about 2 months. If you’re like me and miss a dose every couple of weeks or so, it will last a little longer. Can You Describe The FLavor? There is zero taste or smell, to Nutrakey beta alanine powder. You can use mix in water, protein shakes, or smoothies since it doesn’t alter their flavor.